A while back, a group of us got together to brainstorm names for our, then, Thursday night Bible study at RPM Brakes and Auto Repair. Many names were placed on the table and many were tossed out of the table, but one remained - Cobbler House. People I've had a conversation with about the name have told me that it reminds them of a peach cobbler or some kind of pie. I can understand that. Many do associate the word cobbler with some type of pie. "a mender or maker of shoes and often of other leather goods"
The slogan that follows the Cobbler House name reads 'Refresh Your Soul and Heal.' This matches up with what a shoe repair person does - they repair soles and heels of shoes. On the Cobbler House side of things, the word 'Soul' is used in place of 'sole' to depict the inner side of one's person that the Bible refers to as the soul. The word 'Heal' is used in place of 'heel' to depict the effects of receiving care from a physician to become healthy once again. The 'Cobbler' depicts Jesus who is the healer of souls, hence when you read, pray and study His Word - the Bible - your soul receives healing and is refreshed once again. At the Cobbler House, we read, teach, pray and study through the Bible together, book by book and verse by verse. And, we teach it in a way that is simple to understand. As the late Pastor Chuck Smith would say simply teach the Word simply. That's what we do. 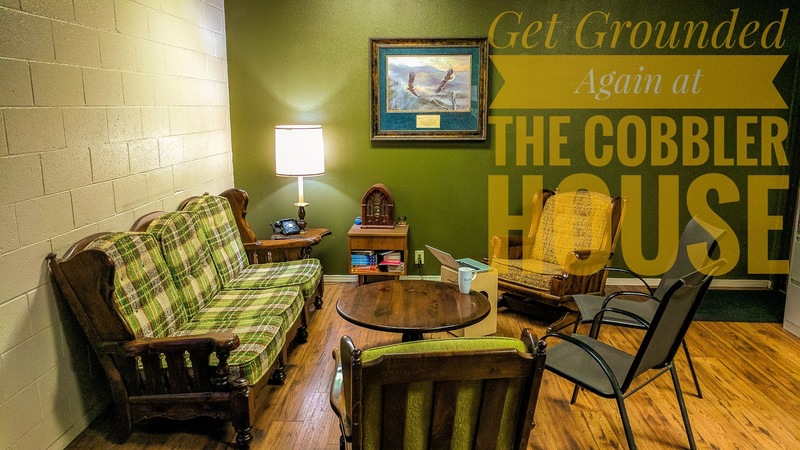 That's the story of The Cobbler House: Refresh Your Soul and Heal. If you would like to join us for our Men's Bible study on Saturday mornings at 6am, pick up your Bible and come on down. If you don't have a Bible, come on down anyway. We have one form you. Don't forget to bring a friend. For additional details, visit our Men's Bible Study page.